Brenda Lee (Jeffries) Nikodim, age 53, of El Dorado Springs passed away at CMH in Bolivar, MO, on March 28th, 2015. She was born on April 21st, 1961, to Glenn Dale Jeffries and Norma Rae (Kenney) Jeffries and raised in Jerico Springs. She was baptized on June 22nd, 1997, at Brown’s Ford in Jerico Springs. Brenda married the love of her life, Howard Mason Nikodim, on May 18th, 1979, in Miami, OK. Together they raised two children, Matthew and Melody. Brenda devoted her life to being the best wife, mother and Gaga that she could be. It didn't take long for anyone who ever met her to know that her grandchildren were her pride and joy. She was never without stories and pictures of them. 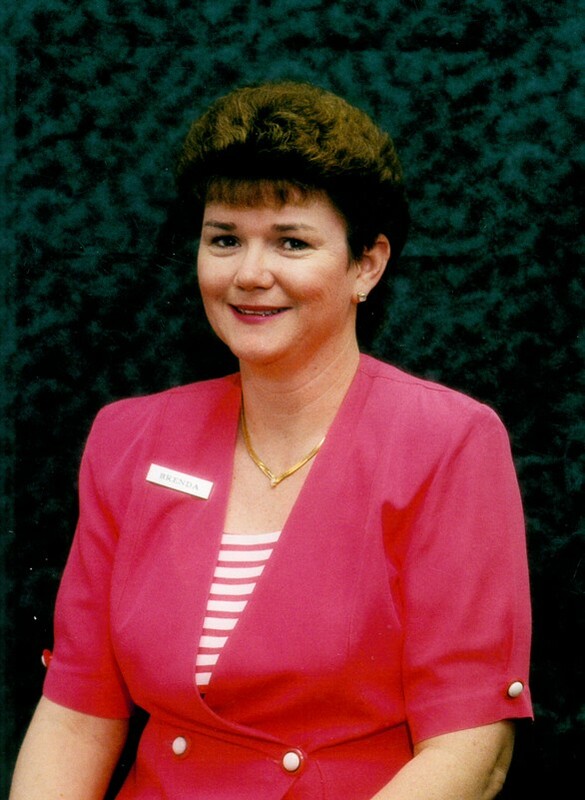 Outside of her family, Brenda was dedicated to her job and customers at the bank. She was always willing to go above and beyond to help anyone anyway she could. Brenda always had a smile on her face, a kind heart full of compassion with a quick witty personality that kept everyone on their toes. She never met a stranger, was a mother to many and a friend to all. Brenda was preceded in death by her father Glenn Jeffries and sister Linda Roe and brother-in-law Dale Nikodim. She is survived by her husband, Howard; son Matthew Nikodim and wife Katie of El Dorado Springs; daughter Melody Madewell and husband Marcus of Aldrich, MO; her grandchildren, Morgan and Jakob Nikodim and Hadan and Haley Madewell; her mother, Norma Jeffries of Jerico Springs; siblings Connie White of Lamar, Billy Jeffries of Lamar, Tommy Jeffries of Jerico Springs, Bobby Jeffries of Lamar, Teressa Melvin of Jerico Springs, Glenda Allen of Monett, MO and Jan Jacquinot of St. Paul, KS; very special friend Charlotte Haden; as well as many, many nieces, nephews and cousins. Funeral services for Brenda Nikodim will be held on Wednesday, April 1, at 10:00 A.M. at Bland-Hackleman Funeral Home with Rev. Brent Bland officiating. Burial will follow in Virgil City Cemetery under the direction of Bland-Hackleman Funeral Home. Pallbearers are: Matthew Nikodim, Marcus Madewell, Josh Berning, Charlie Green, Luke Mitchell, and Jim Haden. Honorary pallbearers are: Jared Jeffries, Justin Jeffries, Clay Jeffries, Jeff Roe, and Andrew Melvin.